Golf Ball Kings is one of the leaders in golf ball customization. 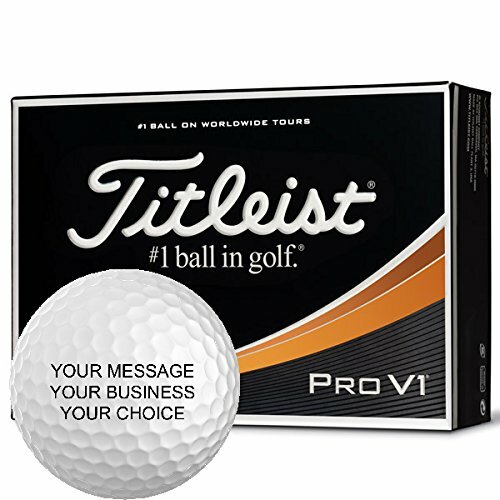 Featuring the very best brands in golf, from Titleist, Bridgestone, Callaway, TaylorMade, you can customize your favorite golf balls with your Logo, Image, Photo. 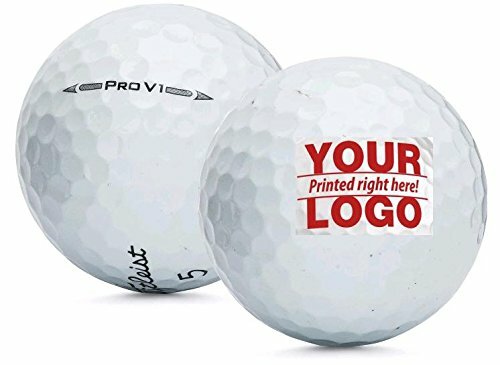 Plus, with our in-house printing department, you can be sure that your personalized golf balls are printed with the highest quality and fastest turnaround time. The New Titleist Pro V1 golf ball features longer distance, more consistent flight, lower long game spin, outstanding Drop-and-Stop control and very soft feel. At Titleist, their mission is to design and produce golf balls of superior performance and superior quality. New Titleist Pro V1 golf balls offer total performance for every player. Golfers will experience even longer distance on all shots with lower long game spin and even more consistent flight, along with Drop-and-Stop greenside control, very soft feel and long lasting durability. Each element of a Pro V1 golf ball is precisely formulated and designed to work together delivering the performance you need on every shot. The Titleist Pro V1 golf ball features Drop-And-Stop greenside control for better scoring performance. With a soft and resilient cone, this Titleist 3-piece ball offers more feel and distance. Featuring an A.I.M side stamp, this Titleist golf ball allows you to align the ball with the hole. 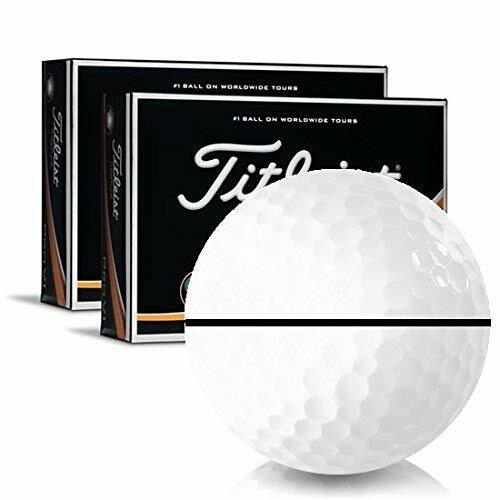 This Titleist 3-piece ball sports a high-coverage 392-dimple design which enhances the flight trajectory. Thanks to the superior performance Urethane Elastomer cover, this Titleist golf ball delivers improved cover durability on all shots. The Titleist Pro V1 is perfectly suited for Pros who are ready for that PGA Tour. Print your own custom personalized text on one of the most popular golf balls around. The new Pro V1 provides the exceptional distance and durability golfers have counted on, and now also delivers increased spin control and a more consistent flight. After placing your order we will contact you with regards to logo formats etc. 5 Day production time! Up To 3 Lines Of Text. Font Is Helvetica And Is All In BLOCK CAPS. Free Setup. Email Proofs Available. We also have other Titleist balls and all the other major brands available for custom printing. 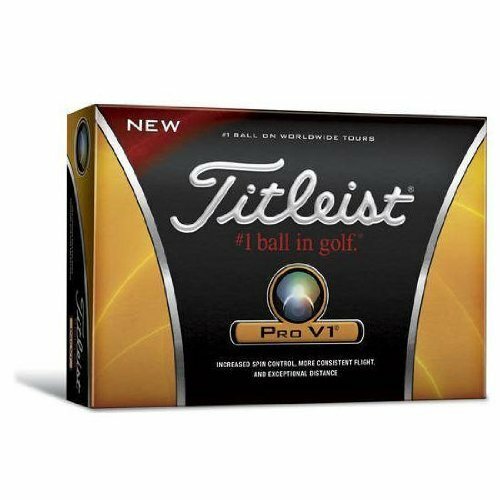 More details can be found at www.golfteesetc.com With the Titleist Pro V1, you will experience even longer distance on all shots with lower long game spin and even more consistent flight, along with Drop-and-Stop greenside control, very soft feel and long lasting durability. 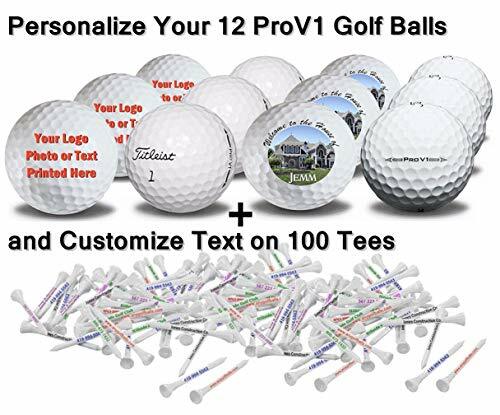 Want more Personalized Pro V1 similar ideas? Try to explore these searches: Honey Scented Candle, Checker Circle, and Sealed Foam Swabs.